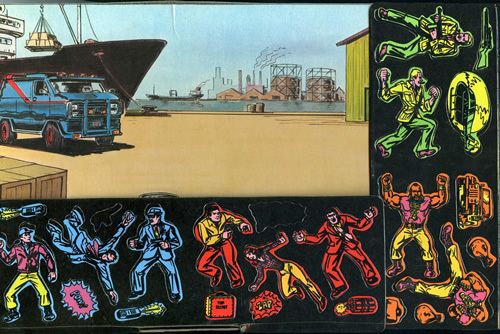 Colorforms were a staple of my youth. You never knew when you might be walking across the carpet and find Snoopy's baseball or maybe even Scooby-Doo himself stuck to your foot. 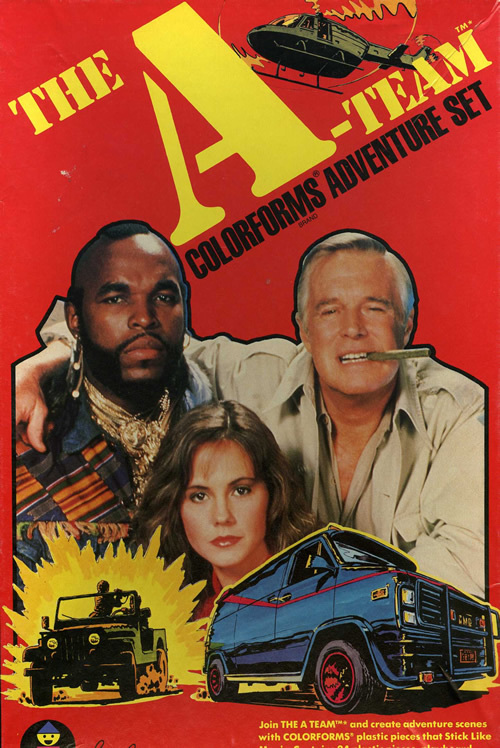 In 1983, we added the A-Team to our Colorforms arsenal. Amazingly, this set is missing only a gun and a "Vroom" sticker. Also missing is the paper insert which provides kids with some ideas on placing the stickers on the background to make an exciting scene. Thanks to the ol' internets, I was able to track down a small image of the insert. 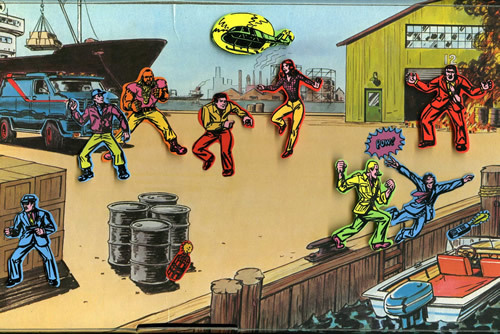 So what does a 30-something-year-old do with his A-Team Colorforms set? He creates a cool fight scene -- that's what he does.